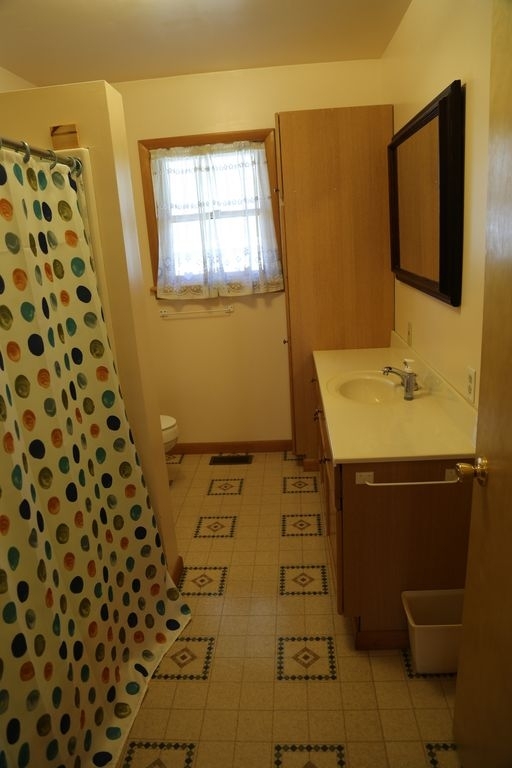 Beautiful & spacious 1600 sq. 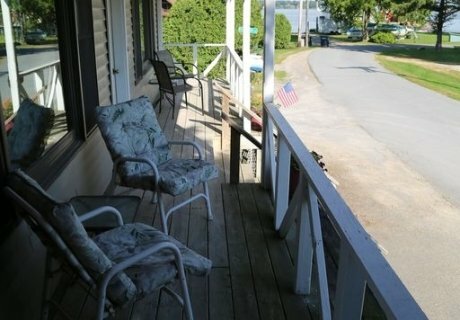 ft. lodge in the heart of Oak Point, felt by many to be the most family friendly and enjoyable community in the Thousands Islands! 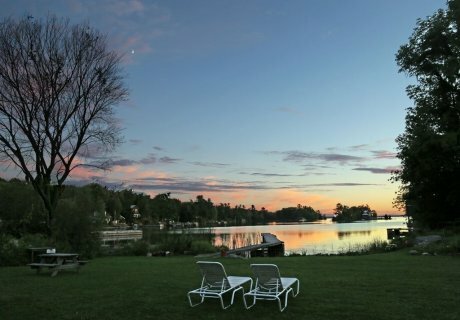 Muskie Lodge is one of five waterfront lodges on our property. 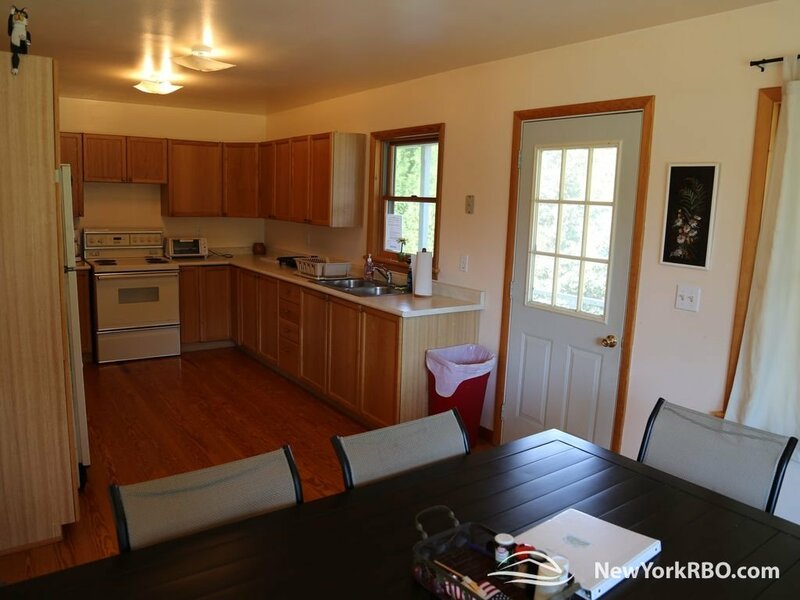 Inside the lodge, enjoy the open living/dining area, the kitchen with full sized appliances and bathroom with full tub/shower. Relax on the wrap-around deck while playing a game of Monopoly or enjoying a sunset dinner overlooking the bay. The expanded dock area has plenty of room to sit and enjoy the view, jump in the water, dock your boat, fish, sip your coffee in the morning or a cocktail at happy hour. 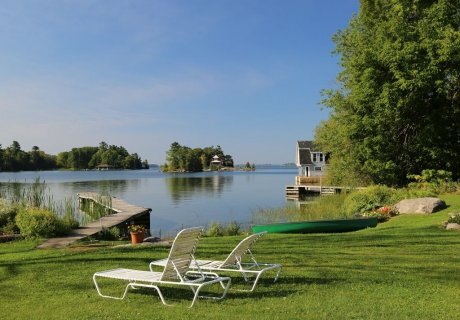 View the majestic St. Lawrence all the way to the lighthouse on Crossover Island from the deck. Take a day trip to many US & Canadian attractions in Alexandria Bay, Clayton, Kingston or Brockville. Museums, historic castles & forts, island parks, great restaurants. Perfect for families, couples, fishermen, hunters, golfers, cyclists. 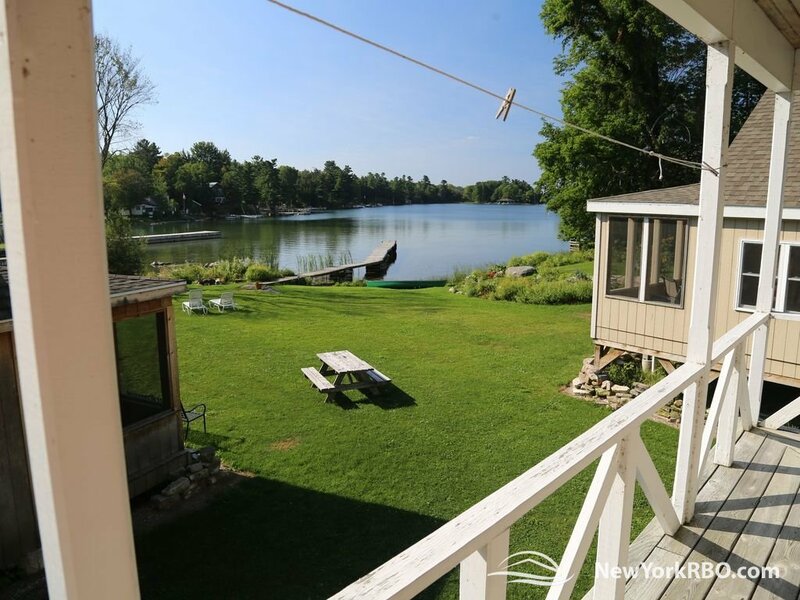 Dock space and canoe rental are available. 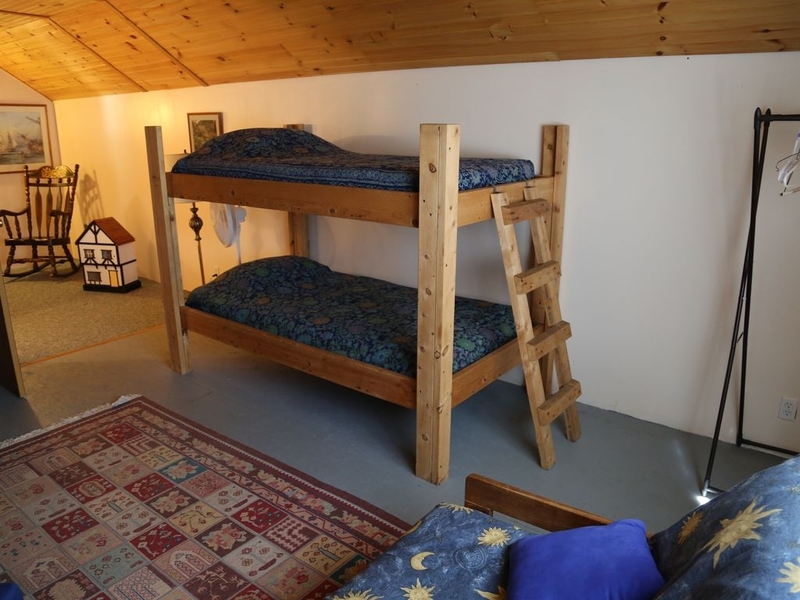 There are two large bedrooms on the main floor, one with a king bed and the other with three twins (two are platform beds which could be pushed together to form another king). Upstairs is a large bedroom with bunkbeds and a great sitting area complete with futon couch and chairs (kids' retreat!). 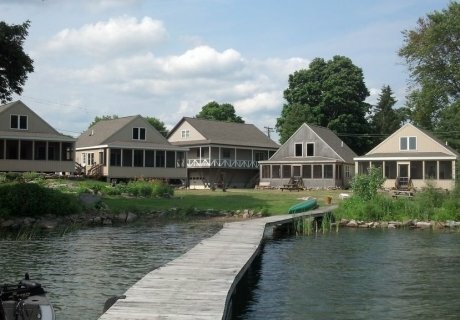 Muskie Lodge is part of The Lodges at Oak Point, and is located right on the St. Lawrence River, on Schermerhorn Bay. We are halfway between the towns of Alexandria Bay and Ogdensburg, NY. 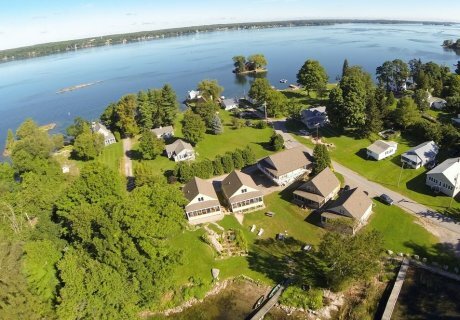 Alexandria Bay has lots of tourist attractions including wonderful boat tours through Millionaire's Row, under the Thousand Islands Bridge, & to the amazing Boldt Castle on Heart Island. The Remington Museum is in Ogdensburg and offers many activities for children in addition to their exhibits. In Clayton is the Antique Boat Museum - their world remowned Antique Boat Show is always the first weekend in August. Singer Castle on Dark Island is right outside of Chippewa Bay (very short boat ride away) and can be reached by your boat and shuttle or tour boats - you will love the secret passages built into it! Oak Point truly is a one of a kind community. 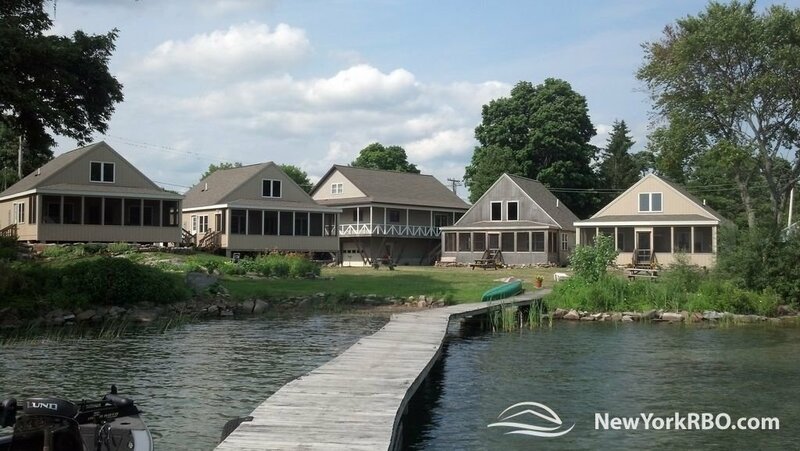 Kids love all the activities - swimming in the bay, fishing off the dock, visits to the Acorn Community Center for candy & game nights, the 4th of July parade, land & water games and ice cream social. Adults love it for the same reasons! Take a walk around the circle and visit the historic cemetery, swing on the swings at the Acorn, bike through the farm country, buy local produce and baked goods at an Amish farm. 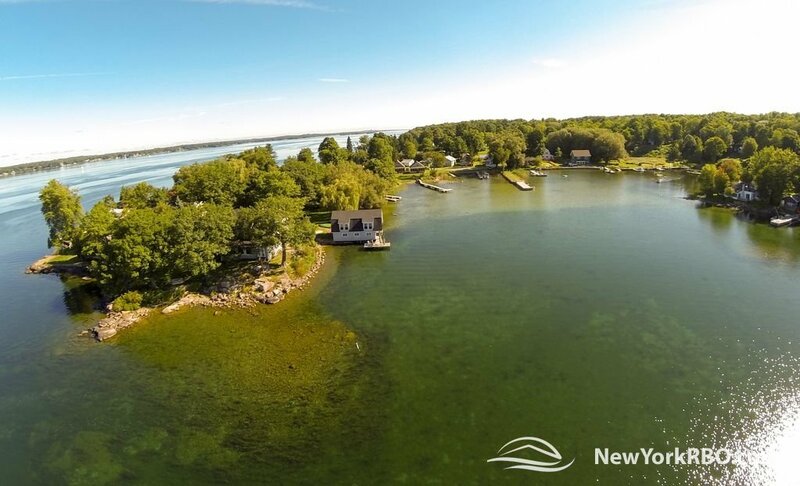 Free town boat launch just steps away from the lodges. The earliest Native Americans called this region Manitowana - the Garden of the Great Spirit, and it is a vacationers' dream! Nature and water activities abound - cruise the 1000 islands, kayak in the early morning or evening to get close to nature, sail or windsurf through the whitecaps, go water-skiing or tubing along the coast, jet ski through the seaway channel, watch the Poker Run speedboat races between Kingston and Brockville, start a list of all the international ships plying the channel (they are especially beautiful at night with their deck lights glowing). The Thousands Islands is the world's finest fresh water diving destination - dive the many wrecks in water so clear you can see up to 100'. Or just sit on the dock and dangle your feet in the water! Fishing - Pike season starts the 1st Sat. in April; Bass & Muskie seasons start the 3rd Sat. in June. Muskie fishing is best in late fall, and ice fishing is great in mid winter! Kids love catching perch, sunfish & rock bass off the docks. 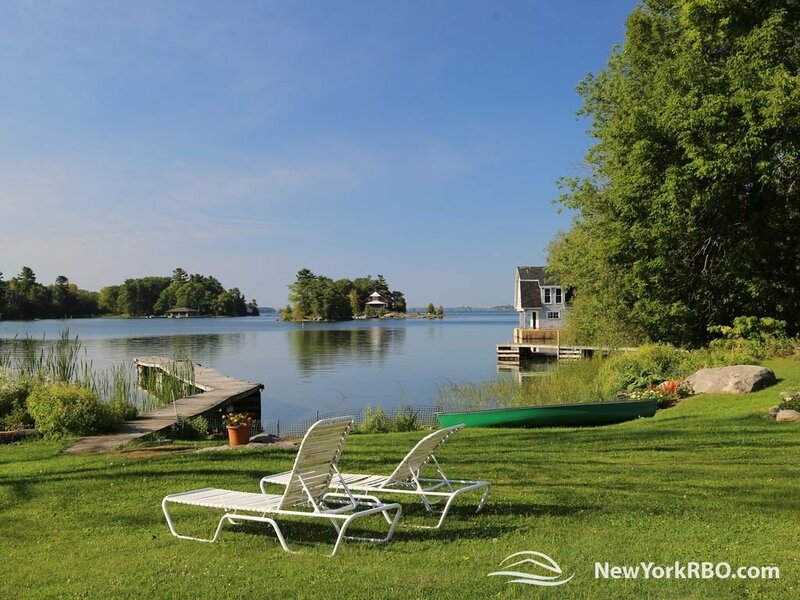 Golfing - nearest course is Langbrook Meadows in Brier Hill; nearby are 3 on Wellesley Island, 3 in Clayton, 2 in Governeur, New York State Park Course in Ogdensburg, Alexandria Bay Municipal Course in Alex Bay. Hunting - we are open for duck & deer hunting seasons in the Spring/Fall. Cycling - there is a great off-road, rails-to-trails system along the river, with difficulty levels ranging from simple to challenging. Oak Point is in a quieter section of the Thousands Islands - less constant boat traffic than some of the more tourist oriented towns. 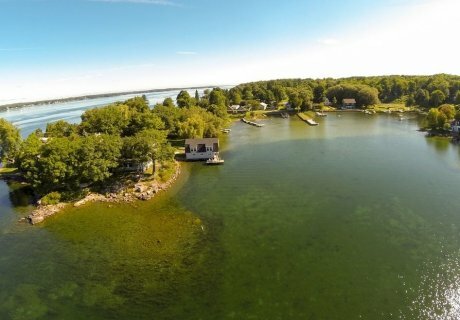 Plenty of room to enjoy boating, fishing, swimming, waterskiing, island picnicing, as well as wonderful attractions nearby, from island castles, to Fort Henry in Kingston, Ont. to Upper Canada Village in Morrisburg, Ont. It was a nice place to just get away! Had a great time with the family! 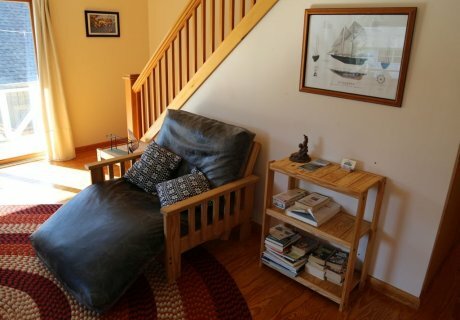 Great house, great host, great location. Owner Lisa is a tremendously friendly and attentive host, we greatly enjoyed our stay at Muskie Lodge at Oak Point. 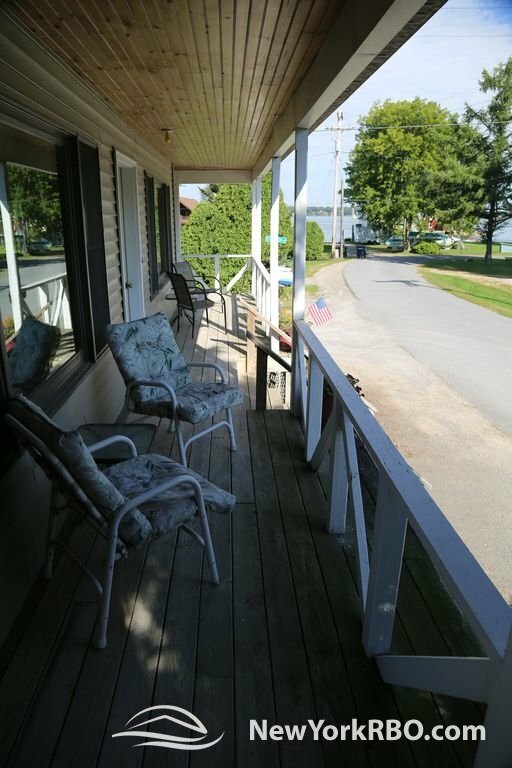 Located in a quaint and quiet road loop (no drive through traffic, no traffic at all actually) at a lovely spot on the river, we greatly appreciated the views and quick drives to Morristown, Alexandria Bay and Clayton. 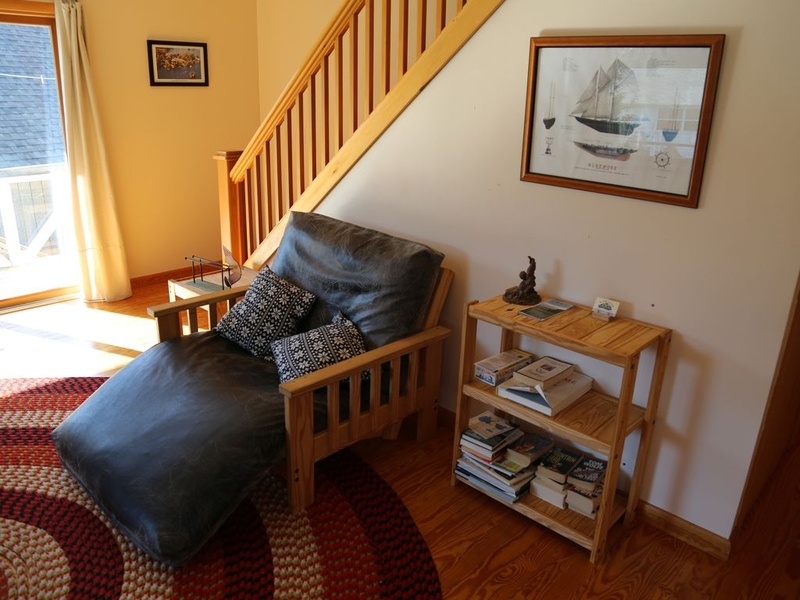 House was spacious and well kept/maintained, and had everything for which we could ask. This was a pre-season weekend get-away so we didn't have the opportunity to fish/swim; though I saw several fishing boats in the waters around us so imagine one wouldn't have to go too far to find some lunkers. 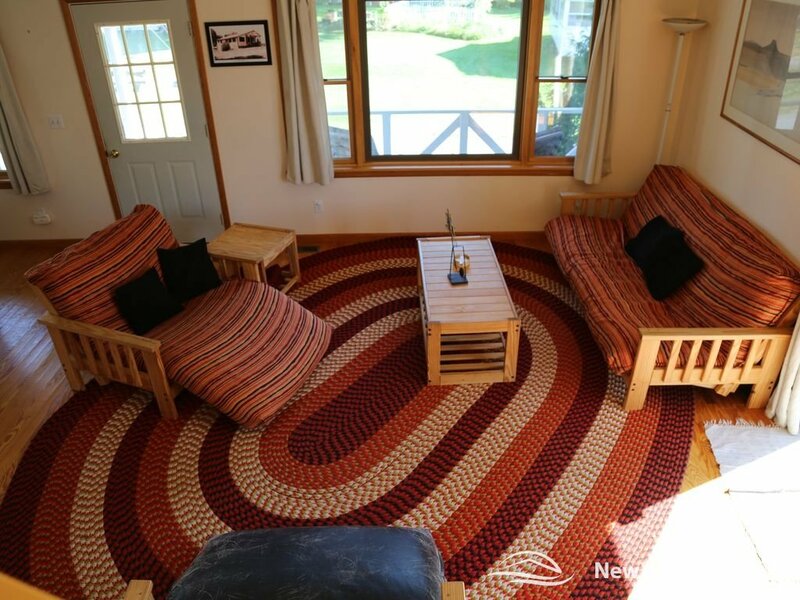 Great space for family time together. 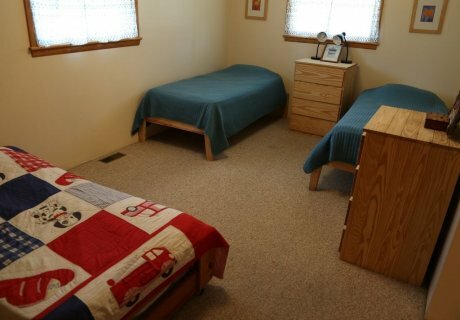 Close enough to Canton and Potsdam for graduation accommodations. Would definitely recommend, a great value. 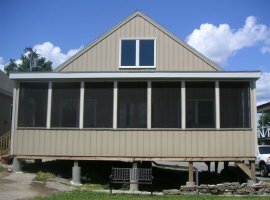 We rented the Muskie Lodge along with the other 4 lodges on the property at the Lodges at Oak Point for a family reunion. The ages ranged from 3 to 87 and everyone had a fantastic time. Although we did some touring, the trip highlights were the times we spend enjoying the waterfront. The river was perfect for swimming and we rented boats to fish, tube, and just cruise around exploring. 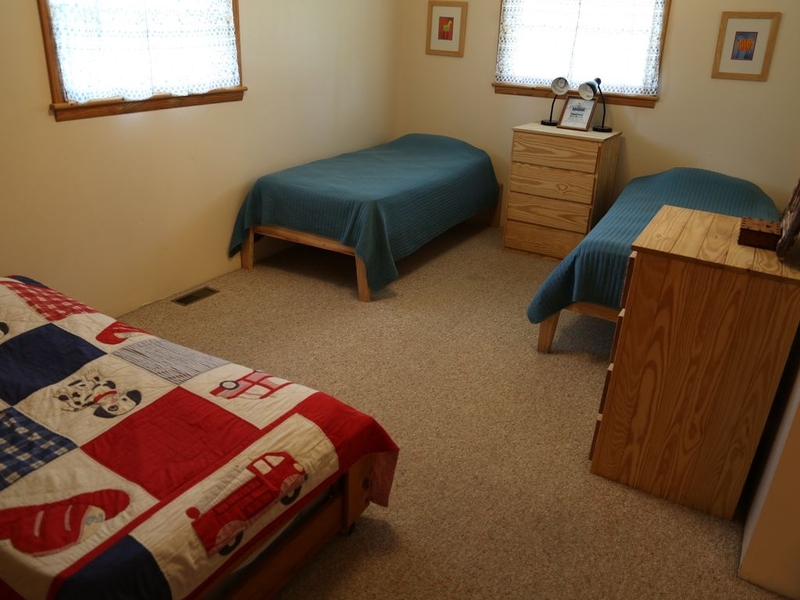 The Muskie Lodge is spacious and allowed us to congregate inside for games and meal preparation. We gathered at the picnic tables on the lawn in the evening for dinner and several nights made s 'mores in the fire pit by the river. 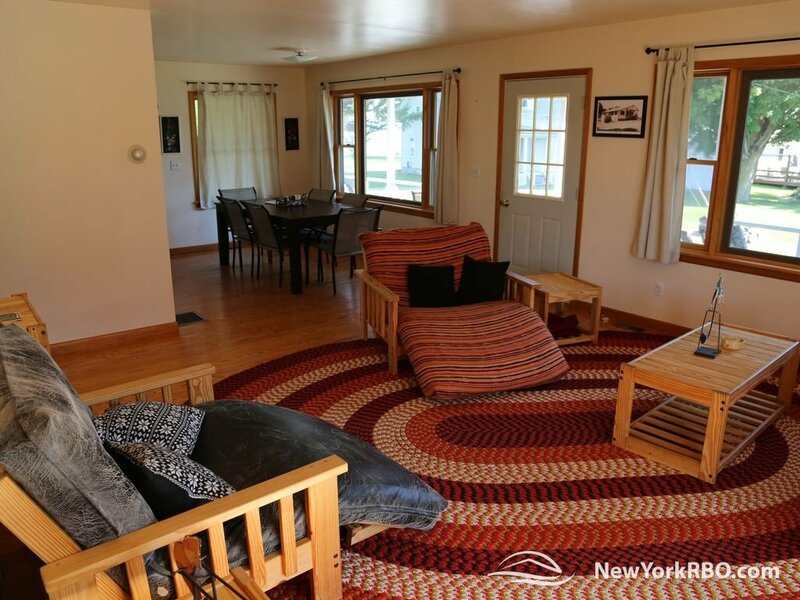 We've been holding these reunions every other year since the early 70's and we really appreciated the well-stocked and organized accommodations and the kindness of one of the owners, Lisa, who was always responsive and patiently answered a lot of questions. It was a FANTASTIC week! 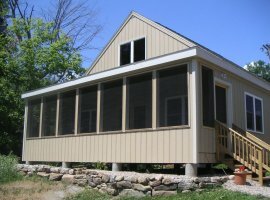 I would highly recommend the Lodges at Oak Point! 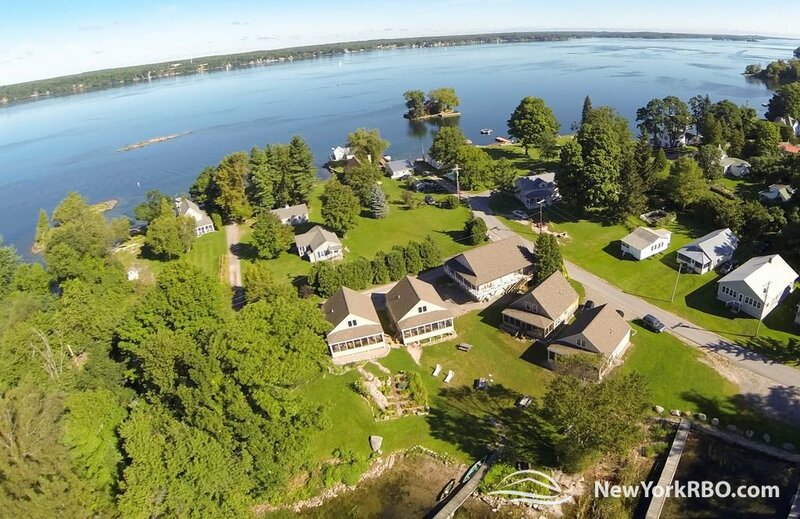 We have been vacationing at Oak Point for 60+ years and chose The Lodges at Oak Point to house our entire family this year. 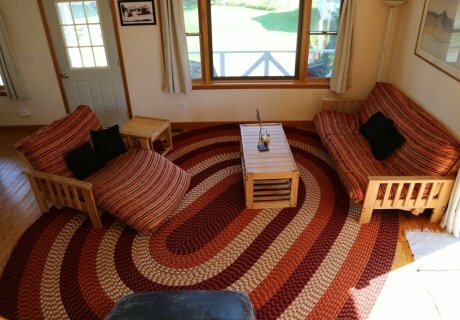 We acutally rented 4 of the Lodges and found them all to be spotlessly clean, well-equipped, and very comfortable. The owners were delightful to work with and our vacation was just perfect. Our group included ages 9 months to 62 years with 9 children total, and we found something fun for everyone at Oak Point. Very safe for children, excellent fishing, sandy-bottom swimming, clear water, cool nights, sunny days and a week spent with loved-ones. A vacation that memories are made of!!! We stayed at the Muskie Lodge and had a great week! 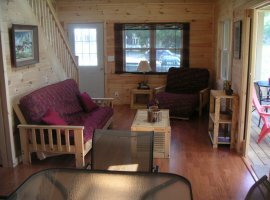 The lodge has a beautiful wrap around porch and a great view of the St. Lawrence River. 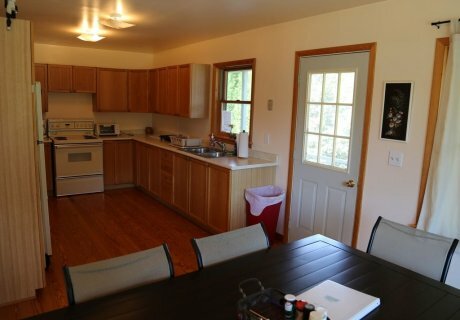 The lodge was super clean and very spacious. Lisa (the owner) was very helpful and took care of all of our needs. 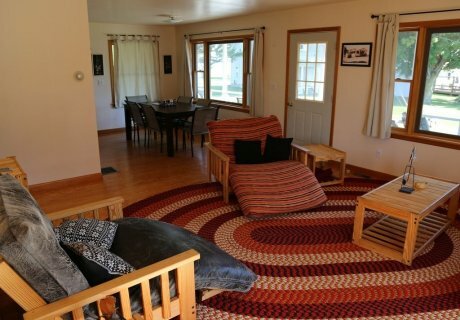 We have already booked for 4th of July 2014. I'm not sure where to start. The owners were absolutely wonderful, very nice. 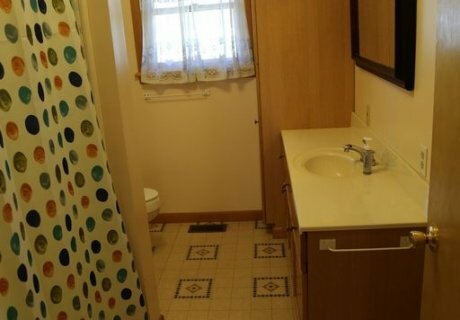 The house was as stated on the web site. It is a beautiful place. It is a family oriented community and everyone was very nice. 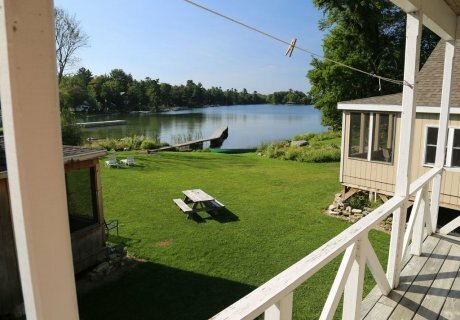 I am so happy that I found the Muskie Lodge online, the next time we head up to the 1000 islands we will definatly stay there. Wonderful wonderful place.